In conjunction with its current show Gustave Baumann: A Life’s Journey, the Museum of Art presents a special lecture on the artist’s woodcuts. On Saturday, March 15, local painter, printmaker, textile artist and teacher Sudeshna Sengupta presents Colors of New Mexico in Gustave Baumann’s Woodcuts at 1pm at the Museum of Art. Gustave Baumann visited New Mexico in 1918 and was mesmerized by the grandeur of the southwest. He was so entranced by the region that he moved to Santa Fe and lived there until his death in 1971. His observations and sumptuous renderings of native tribal life and cave paintings were the sources for his colorful and stunning wood block prints. The many works Baumann produced vaulted him to national attention and were exhibited in museums and galleries throughout the country. As his career continued, he immersed himself in experimenting with new and varied color palettes while also creating a ‘family’ of marionettes. In 1952, he was named as an honorary fellow of the Fine Arts School of American Research. A comprehensive body of his works was donated to the New Mexico Museum of Fine Art in Santa Fe by his wife, Jane, and daughter, Ann, and that institution has generously loaned us the luminous pieces that we are delighted to present to the people of Las Cruces. Ms. Sengupta received her BFA in painting and MFA in printmaking from Visva Bharati, an international university. She taught at the university level in the United States and in India and now conducts workshops and presentations that focus on the history of various art forms. “Sudeshna’s unparalleled expertise on printmaking – combined with a nearly lifelong passion for Gustave Baumann’s work – make her the ideal speaker for this exhibition,” said Andy Albertson, Curator of Education. Join us as Ms. Sengupta enhances with her insightful comments and deep appreciation of this genre in relationship to Gustave Baumann: A Life’s Journey. 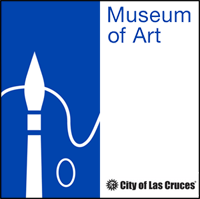 Funded by the City of Las Cruces, the Las Cruces Museum of Art is located at 491 N. Main Street. For more information, call (575) 541-2137 or visit the website at lascruces.org/museums.